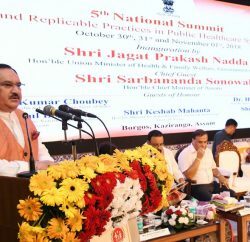 BJP national general secretary J.P Nadda has lambasted at the UPA government and accused them of being promoting corruption and sheltering corrupt people. 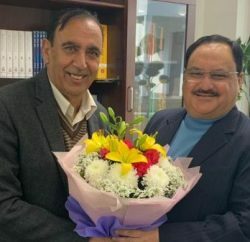 In a party rally at Bilaspur, Nadda urged the party workers to unite to bring change at the Centre and also in the state. BJP leader said that the Congress government in the state was totally “crippled” and Virbhadra Singh had assumed the mantle of an “inquiry Chief Minister”. He accused Virbhadra Singh for playing a politics of revenge and framing his political adversaries. Former MP Suresh Chandel, MLA Rikhi Ram Kaundal, Rajender Garga, Subhash Thakur, Shivpal Manhans and all state executive members of the party were present in the rally. This rally was organised to felicitate Nada for his appointment as the party national general secretary for the second time. 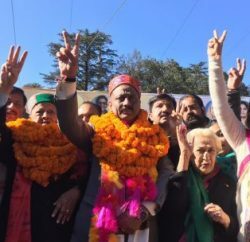 In Shimla party state spokesperson Ganesh Dutt also accused Congress led government of misleading people and making false promises to win power. He said alleged that the Congress had not made any serious effort to implement its election manifesto. He said that Congress has lied over unemployment allowance as promised in manifesto and come up with a skill development programme. He alleged that government was only busy with transfer. Dutt also accused Virbhadra Singh Govt for failing to protect the interest of poor people. He claimed that Public Distribution System (PDS) has totally collapsed. He added that even employees were also cheated as government has withdrawn 4-9-14 pay scale approved by previous Dhumal government.